← May I Have The Envelope, Please! I started Monday with all good intentions to go grocery shopping. As the morning passed, I became less and less inclined to do it. Even though I realized that there was next to nothing of my usual good choices in the house. I did have a few things to get me through. 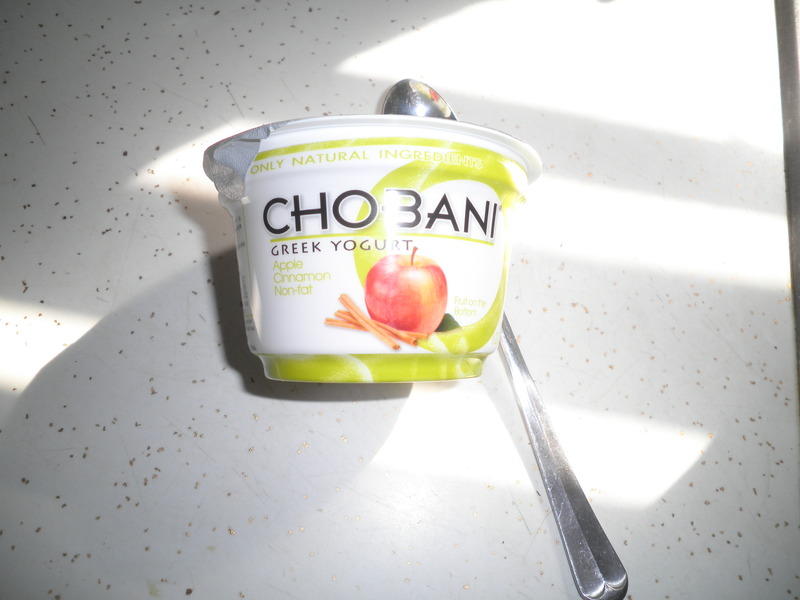 I almost forgot that I had splurged and picked up a few Chobani Greek Yogurts last week. I tried the new apple cinnamon and it was really tasty. I should probably buy these more often regardless of the cost because they are such a wonderful source of protein. They’re on my list for today. Now that I think about it, I did pretty well with protein on Monday. 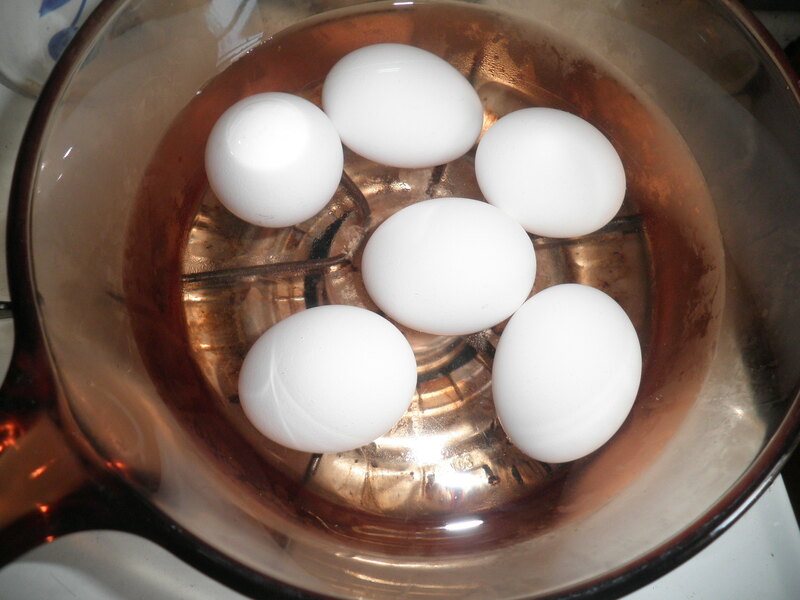 While I made chicken salad or Ralph, I cooked up some hard-boiled eggs. 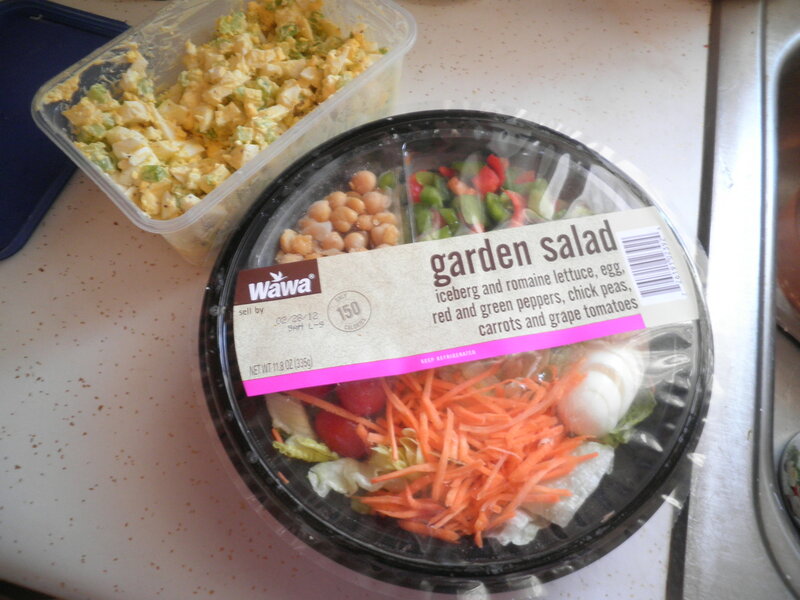 Ralph had brought me home another of the Wawa garden salads so I thought I’d combine it with some of my egg salad. Between the egg and garbanzo beans that come with the salad and the addition of my egg salad, this really was a protein packed lunch. It kept me filled for quite a while. Afternoon found me reading, I’m enjoying Mockinjay but I’m not sure if I like it as much as the previous 2 books in the Hunger Games series. Trust me the veggie burgers weren’t worth photographing. I’ve got a long shopping list and several stops to make today. I really should never let my supplies get this low…that’s how I get in to trouble. I hope there are lots of sales today! This entry was posted in Uncategorized and tagged veggies. Bookmark the permalink. i’ve been having a small love affair with hard-boiled eggs recently. so good! 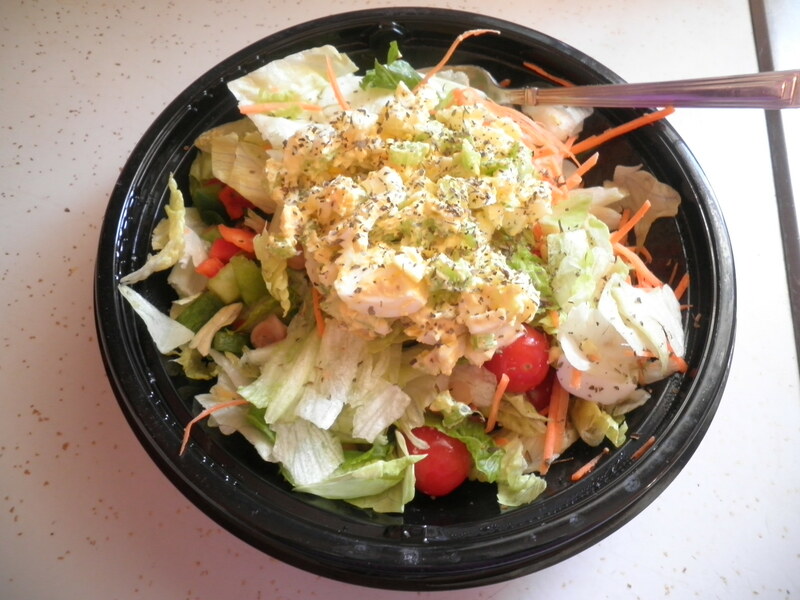 and your salad photos have convinced me to go to the salad bar for lunch today. can’t wait for black beans and delicious things. 🙂 happy shopping, fran. I really enjoy egg salad. I should make it more often, but you know how it is sometimes! Hope you’re having a good week. I think things will be better on Saturday. I didn’t love Mockingjay as much as the other books either but its still good to see the story conclude. Have a great week! Thanks, Laura. It’s not as good, but I want it to come full circle.